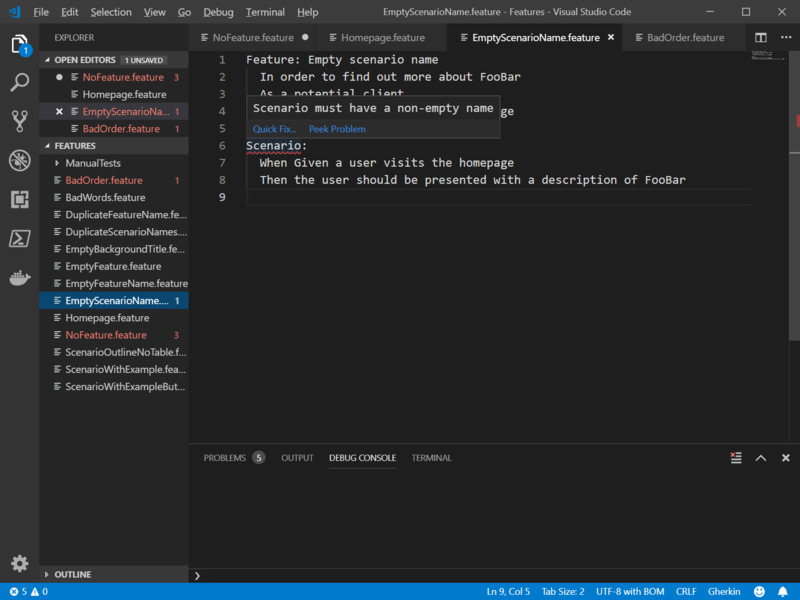 Visual Studio Code>Programming Languages>Gherkin Linter (UnderTest.FeatureLint)New to Visual Studio Code? Get it now. Executes linters against *.feature (gherkin) files. None currently. If you have a request for one, please request. The full changelog is available here: changelog. Linting is currently limited to single file rules.